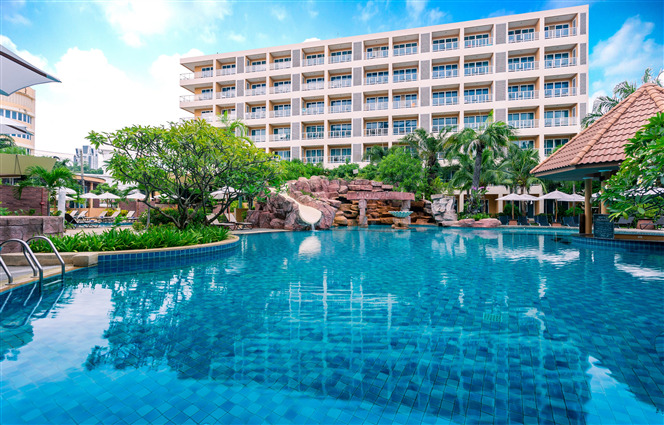 Nova Platinum Hotel is located in South Pattaya close to Walking Street and Pattaya Bay. Our hotel has 3 buildings with a total of 270 well-appointed guestrooms. All of our rooms feature a 32” LCD TV, DVD player, hair dryer, scale, minibar, tea and coffee making facilities, personal safe box, free WiFi and a number of facilities. You are welcomed to enjoy our spacious garden, large freeform swimming pool with waterslide, lap pool and two hot tubs. The fitness centre, with its windows facing the garden and pool area, is equipped with a range of exercise equipment to help you stay active. Sukavadee Spa offers massage treatments in the Premium Wing, as well as in the rooms and the additional massage room at the swimming pool. The hotel offers three amazing bars and restaurants including Zia Restaurant, Kiara and the Pool Bar.